City Made In England Cigarette Case. 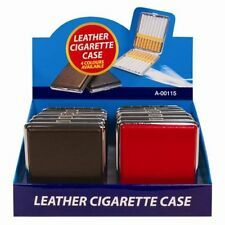 Nice item if you are collecting cigarette cases or if you want an unusual business card case. This item is in white metal, has working opening and closing clasp and spring loaded cigarette flap inside. This item does have some scratches on it, which I’m sure with some TLC they will fade or come out completely. Slight dent which I have added to the photographs. Thank you for looking. Dispatched with Royal Mail 2nd Class recorded free of charge. Uk based buyers only due to low value. 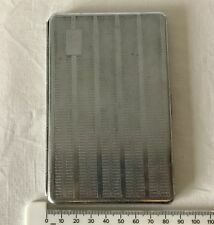 New listingVintage Cigarette Case, Metal, Silver colour, Monogrammed CB, nice condition. 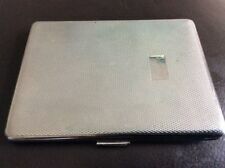 There is a slight indentation on the front of the case (see first photo). Coloured highlights are due to reflections from the stained glass window. New listingVintage Cigarette Case and motoring memorabilia. No Elastic. In used condition, wear to surfaces from use. Hinge is good. No elastic inside. The engraving plate is blank. 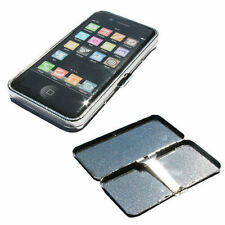 Cigarette Case Holder with Mirror -. and there but still a nice case. Approx 3 1/4 x 4 1/2 ins. In used condition, wear to surfaces from use. Hinge is good. PATENT SPECIFICATION No. 408,511. APPLICATION DATE: September 11, 1933. SPECIFICATION ACCEPTED: April 12, 1934. Size: 195mmx270mm. of pages of text: 2. of pages of drawings: 1. Size of page of drawing/s: 140mmx225mm. 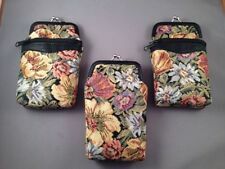 Cigarette case 16 cm x 9 cm x 2 cm approx. 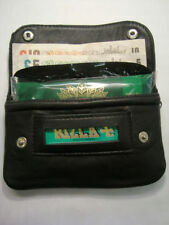 Wallet 17 cm x 10.5 cm closed. vintage metal cigarette case - nice condition - 1940's? Width 8.9cm. Length 9.7cm. Depth 0.9cm. Vintage Art Deco cigarette case from Swanage, Dorset, England. 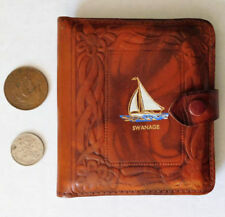 Sturdy leather, embossed with a picture of a yacht, and the word SWANAGE. REAL LEATHER MADE IN ENGLAND. Measures 3.75" x 3.5" (9.5 cm x 9 cm) approx. when closed. Fastens with NEWEY stud, marked with a 1922 patent number. .
7.6 cms long cigarettes would fit inside. Has a blank space so initials can be engraved to one side. The front face has beenengraved using large letters 'AF' in a double circle and underneath 1942-1945. 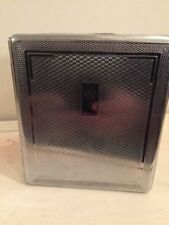 Sterling silver hinged cigarette case. Also inside on right hand panel is inscribed W.R FROM R.G.L. 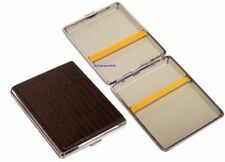 The case is well made with a good push button release catch and strong hinges.This type of cigarette case is known as "trench ware" and was hand made using aluminium salvaged from planes. Superb bit of 60's cool which is a timeless stylish item in great condition I haven't seen another when searching on different search engines. Vintage orange lucite case. Signs of wear & tear commensurate with age & use. Please view photos very very carefully to fully ascertain if this is actually what you want before purchase. PLEASE ASK ALL QUESTIONS PURCHASE. These items are vintage so may show signs of wear and tear commensurate with age and use. All postage costs are actual cost to me, I always try to dispatch the same day after payment is received if not always the next working day. Vintage cigarette case styled like an envelope. Condition is Used. Dispatched with Royal Mail 2nd Class. Years Made: 1960s. Material: Wood, mother of pearl. See photos for details. (For condition see photos). The item in the photo is the exact item you will receive.